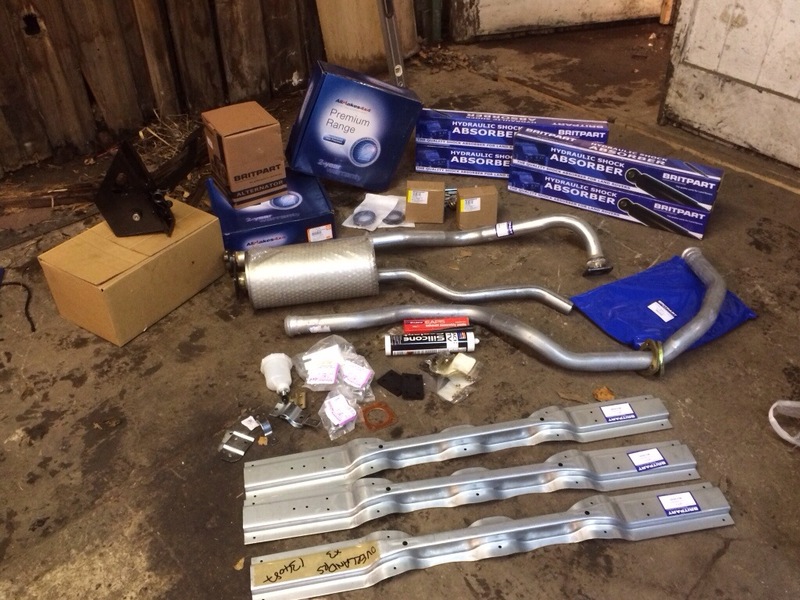 As a bit of a birthday present to the owner of car 1 lots of parts have now been ordered for the car which should allow for a big jump in the progress. As of writing, the rear hub bearings have been replaced and fitted back to the car, new UJ’s have been fitted to the rear prop, the hand brake drum has been skimmed ready for refitting. 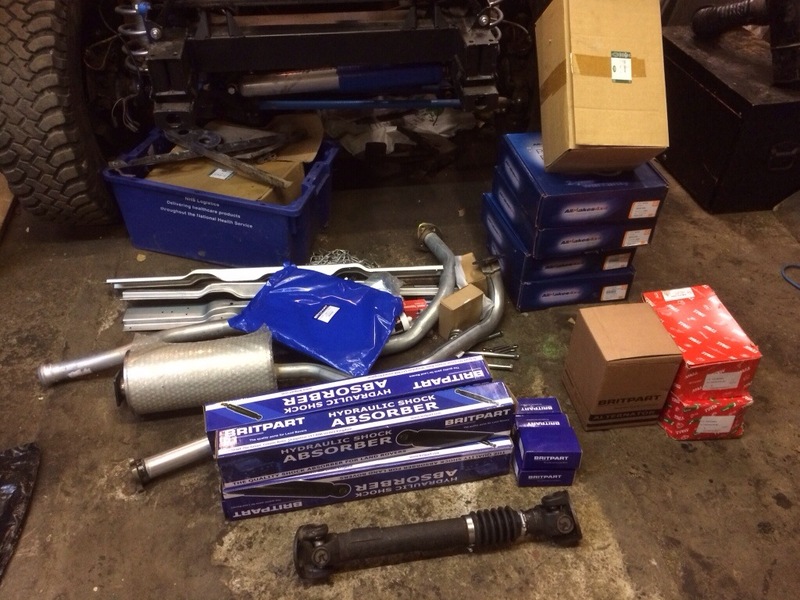 and brake overhaul kits are standing by ready to be fitted. Other progress made recently includes painting of the windscreens surround, we have gone for black on this to try and tone down the green a bit. and just to check we popped the other bits of the body on to see the shape of things to come. We have also made up 2 repairs for the rear 1/4 panels of the tub, the bottoms of them have corroded so we have made up some repairs based on the templates for car 2. So busy times ahead working on the car hopefully will have it further along in no time. 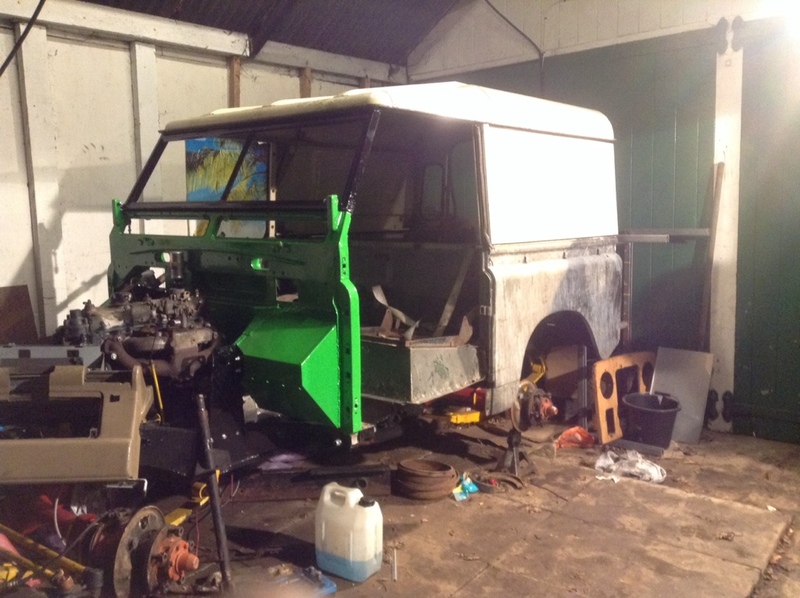 This entry was posted in Axles, Bodywork, Fuel System, Suspension and tagged 1966 Series 2, collection, fuel tank, Land Rover, painting, Parts, Progress, rebuild, Wirral on January 10, 2014 by landyrebuilds. 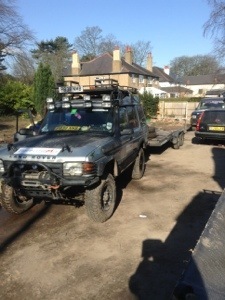 Well we are on our way on 150 mile round trip to collect the chassis for the series 2 car. 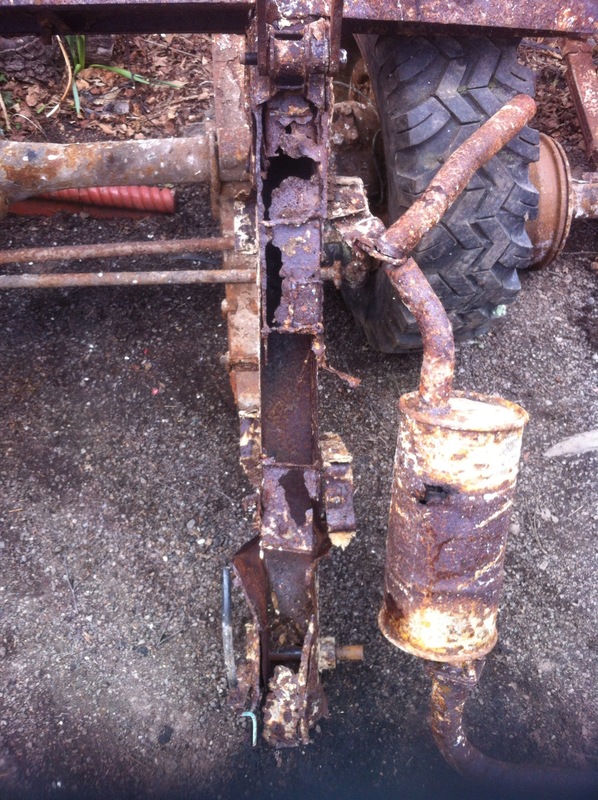 Well chassis collected and we got a new bulkhead while we were at it. Well after a long morning / afternoon traveling we got back with the new toys and started getting the garage ready to put everything in. 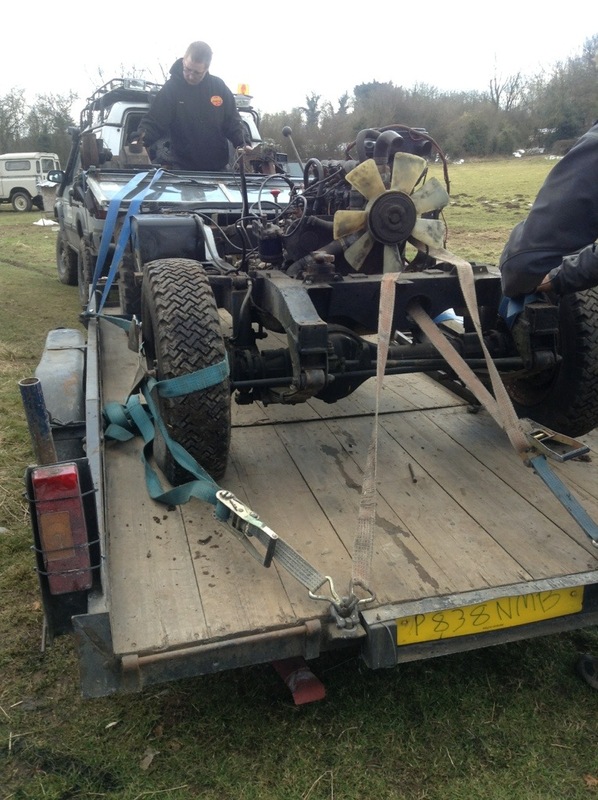 First job was to move the old chassis sideways so we could put the new one in next to it. As we moved the old chassis it showed how bad a condition it was in by snapping in half, here is a picture of the underside of the rear end. 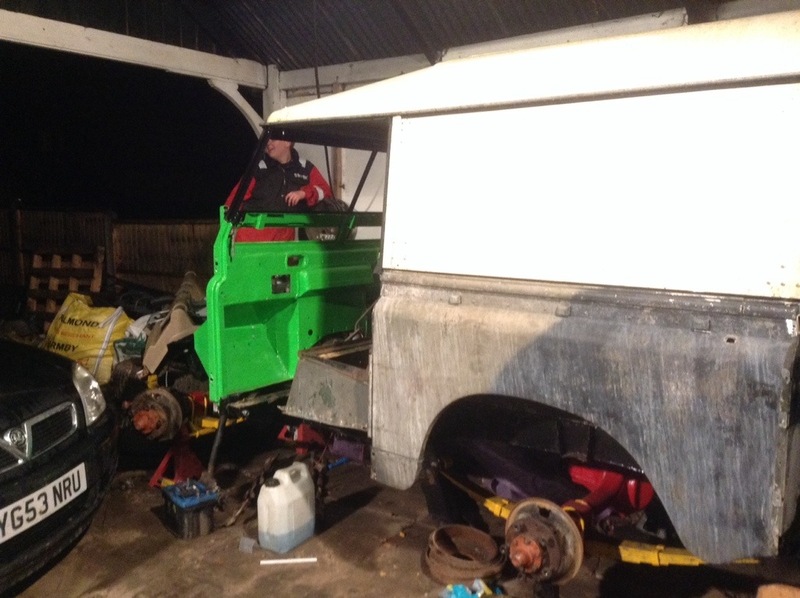 So after we tidied all that up we rolled the new chassis into place next to it, this one looks in much better condition. we also popped the new bulkhead into place just to see how it looks. 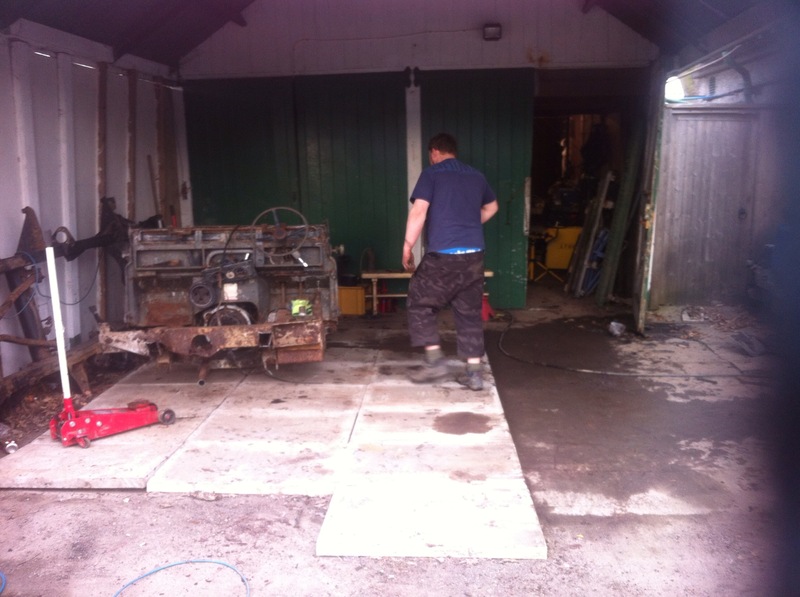 Up next is setting out a list of jobs that need doing so we can get on with the rebuild. 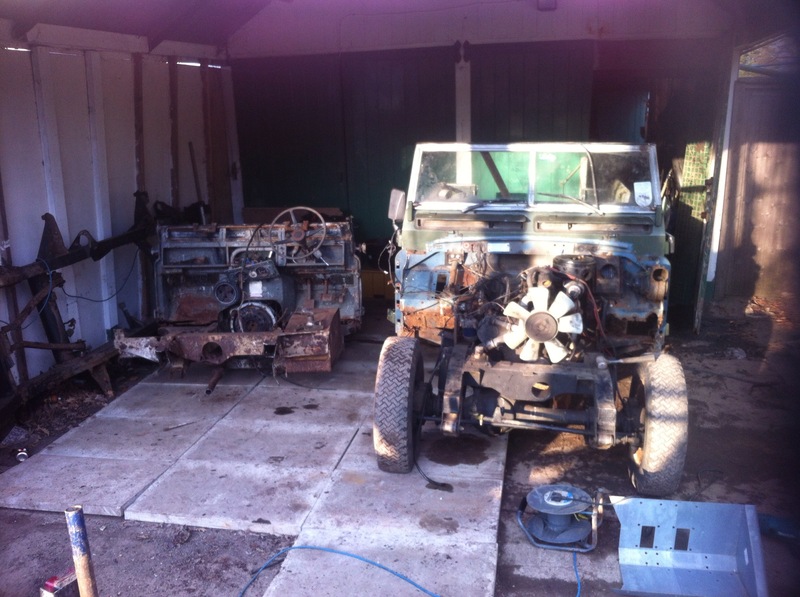 This entry was posted in 1966 Series 2 and tagged collection, Land Rover, series 2 88 on March 29, 2013 by landyrebuilds.